The Cape Gooseberry - Physalis peruviana is a tender herbaceous perennial with a sweet, mildly tart flavour. Although not fully hardy in the colder regions of northern Europe its has been cultivated in England since the late 18th century - albeit with winter protection. Unfortunately it is still relatively little known in England due to its seasonal availability and relatively high prices in the supermarkets. 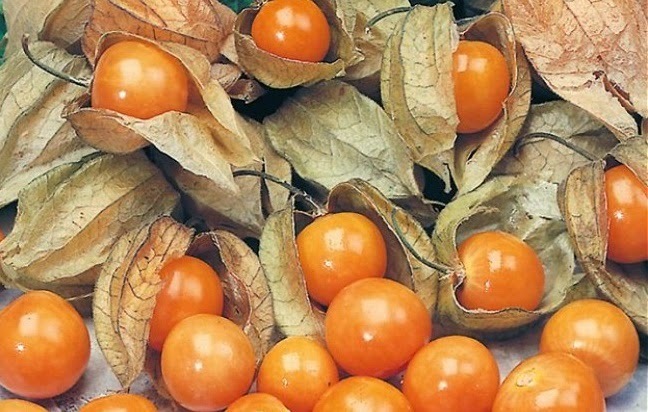 Even established plants are hard to come across in plant retailers but help is at hand as Cape Gooseberry seeds are available as part of the standard range in the 'Seeds of Eaden' seed shop. 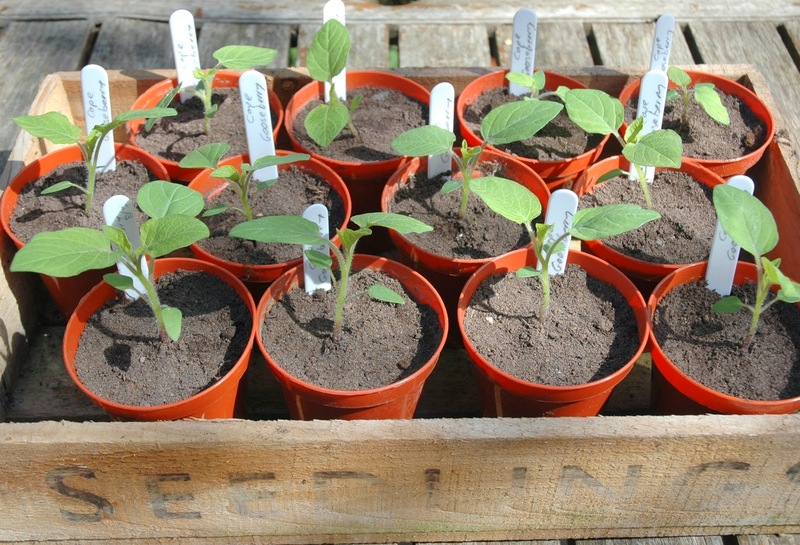 Sow Cape Gooseberry seeds from February to March into a modular seed tray using a good quality compost such as John Innes 'Seed and Cutting. Water the compost and allow the excess water to drain away before sowing the seeds at a rate of 1 seed per module. Press each seed into the surface but do not sink the seed into the compost as Cape Gooseberry seeds require the presence of light to help initiate germination. Lightly cover the seed with vermiculite. Place the tray inside a heated propagator at a temperature of 18-21 degrees Celsius and keep the soil damp. Move to warm, bright conditions such as a bright windowsill, but one that does not receive direct sunlight as this can cause seedlings to scorch or the compost to dry out. If you do not have propagator then seal the seed tray inside a clear, polythene bag. Germination will usually takes up to 21 days and once the seedlings emerge remove the tray from the propagator or polythene bag. Once they are large enough to handle, pop out each plug and pot on into 3 inch pots and grow them on at a minimum temperature of 15 degrees Celsius until they are 8 inches high. When all risk of frost has passed, plant Cape Gooseberry outside in any well drained soil in a position that receives full sun. However as they are unlikely to survive the freezing temperatures of winter you will be better off growing Cape Gooseberry in ground protected by a greenhouse or polytunnel.